At Sheehy Nissan of Manassas, we are dedicated to helping our local community thrive. We are constantly supporting our community through food and clothing donations, sponsorships and more! This year during Sheehy Auto Stores’ Annual Giving Campaign, we decided to donate $7,500 to the St. Lucy Project to help provide food to people experiencing hunger or food shortages. 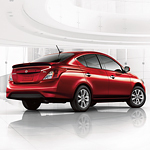 The mid-sized Sentra remains popular for the vehicle's classic styling and spacious interior. The 2019 sedans are created to provide enhanced performance. Experience the power for yourself by making a trip to our Manassas location. Indulge in a test drive. 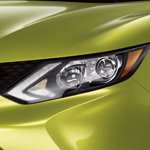 The standard 1.8-liter engine has a city fuel rating of 29 mpg and a highway rating of 37 mpg. The four-cylinder also provides up to 124 horsepower and 125 pounds of foot torque. The 1.6-liter turbocharged version is the same size. The Nissan Versa is a very practical and affordable sedan that is taking the lead as part of the 2019 vehicle lineup. With a 1.6-liter engine that provides 109 horsepower and 107 pound feet of torque, you can achieve an impressive 39 miles per gallon combined for fuel efficiency ratings. A 5-speed manual or Xtronic CVT is available for the Versa. 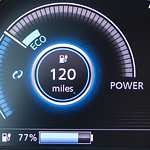 One of the reasons that people look for new vehicles is that they want a better fuel economy. People do not need to look any further than the 2019 Nissan Rogue. The 2019 Rogue is an example of a great fuel economy. 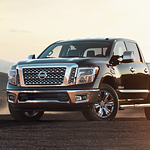 The designs and the power of the vehicle make it easily able to perform with a low amount of fuel usage which impresses our Sheehy Nissan of Manassas professionals. 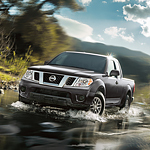 Nissan is known for creating high-tech features that are focused on the driving experience. 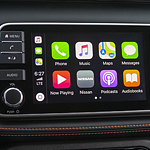 You can find some of these great features in the Nissan Kicks. This all-new subcompact SUV is available with the Nissan Intelligent Mobility system. The days of trucks being vehicles best suited to farmers and ranchers for hauling cargo and livestock are long gone. Today's modern pick-up trucks have become sophisticated, stylish, comfortable and versatile vehicles that attract men, women and families. Look into the interior of today's pick-up and you'll notice luxurious leather seating and power adjustable pedals. Modern truck cabs are bigger and the truck bed smaller, with enough rear seat room to install child safety seats. Sleek, stylish and fast, the 2019 Nissan 370Z offers a sporty drive on the highway. This compact roadster is equipped with durable mechanical components that guarantee class-leading performance. Sheehy Nissan of Manassas sells this convertible car for just more than $41,000. A rear-wheel drive (RWD) is standard in this agile car that includes two seats. High-performance tires with the patented Bridgestone Potenza label are available for the 18-inch and 19-inch wheels. A tire repair kit comes in handy for patching these signature tires on the road.